The Richard Dale Theatre School are performing Chicago. Set in the legendary city during the roaring “jazz hot” 20s, Chicago tells the story of two rival vaudevillian murderesses locked up in Cook County Jail. Nightclub star Velma’s serving time for killing her husband and sister after finding the two in bed together. Driven chorus girl Roxie’s been tossed in the joint for bumping off the lover she’s been cheating on her husband with. Not one to rest on her laurels, Velma enlists the help of prison matron Mama Morton and slickster lawyer Billy Flynn, who turn Velma’s incarceration into a murder-of-the-week media frenzy, thus preparing the world for a splashy showbiz comeback. 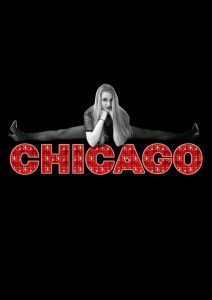 But Roxie’s got some of her own tricks up her sleeve… Featuring a live orchestra and your favourite songs – All That Jazz, Cell Block Tango, Nowerdays, Roxie, Mr Cellophane and many more.